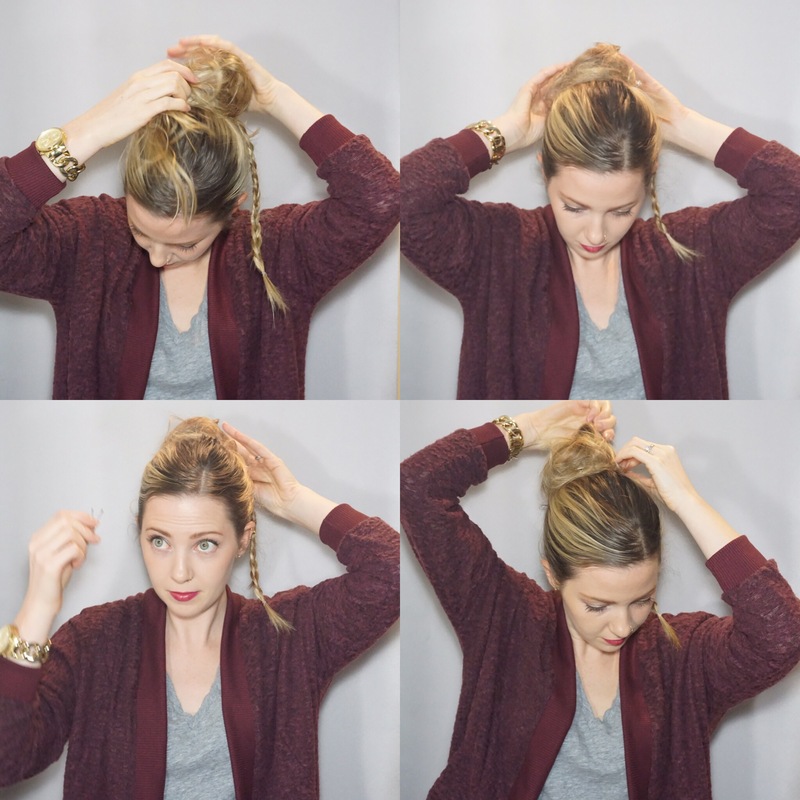 A playful revamp on the classic top knot, I recently wore this look to brunch as a quick little ‘do. It is the perfect style to wear when your hair is a bit unwashed….a favorite way to keep my hair on the weekend and let it just be. Keep the style fresh with this look. Follow below for the how-to and the step by step. 1) Part your hair and tease the sides and crown, spraying a light hold hairspray after. 2) Smoothing the sides,leave the volume at the crown and make a ponytail. 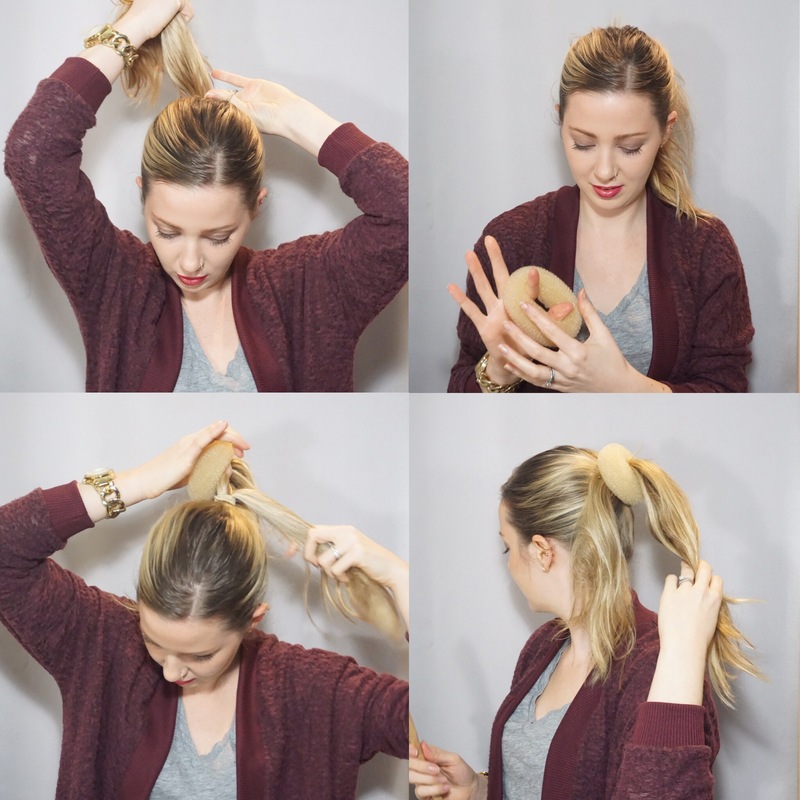 Leaving 1/4 of the ponytail out, place a hair donut over the ponytail and secure at the base on each side with a Bobby pin where the hair and donut meet. 3) Braid the left out section, and secure with a small clear elastic. Lightly pull the braid apart to thicken it. 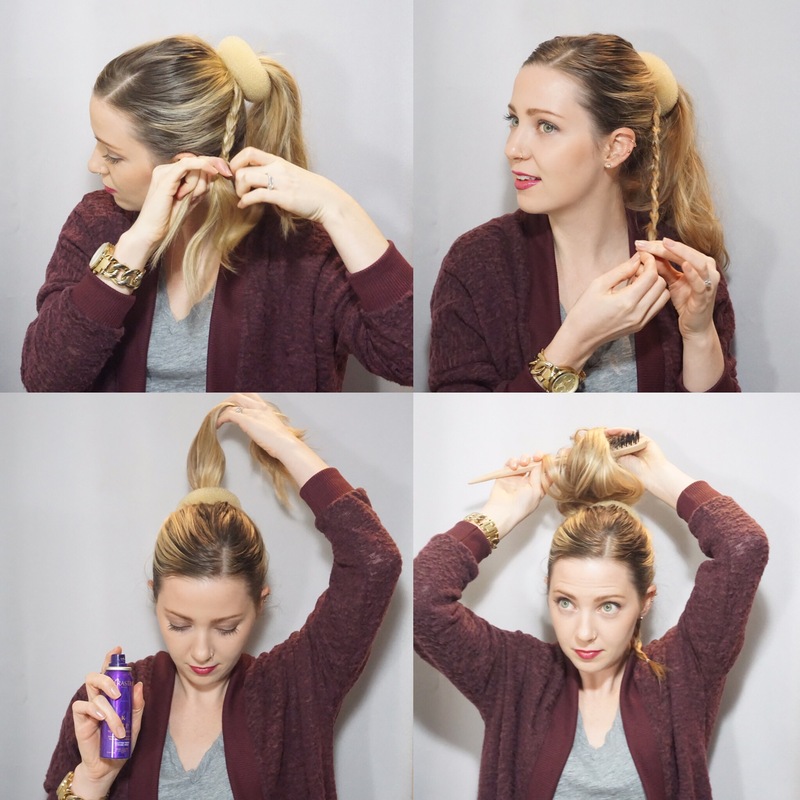 Using a dry shampoo or volumizing spray, spritz the ponytail. Back comb the ponytail, letting the hair fall down as you go. 4) Flipping the ponytail over the base of the pony, coil the hair around the donut and secure the bun with Bobby pins at the base where needed. 5) Wrap the braid over the bun securing the ends with a bobby pin. 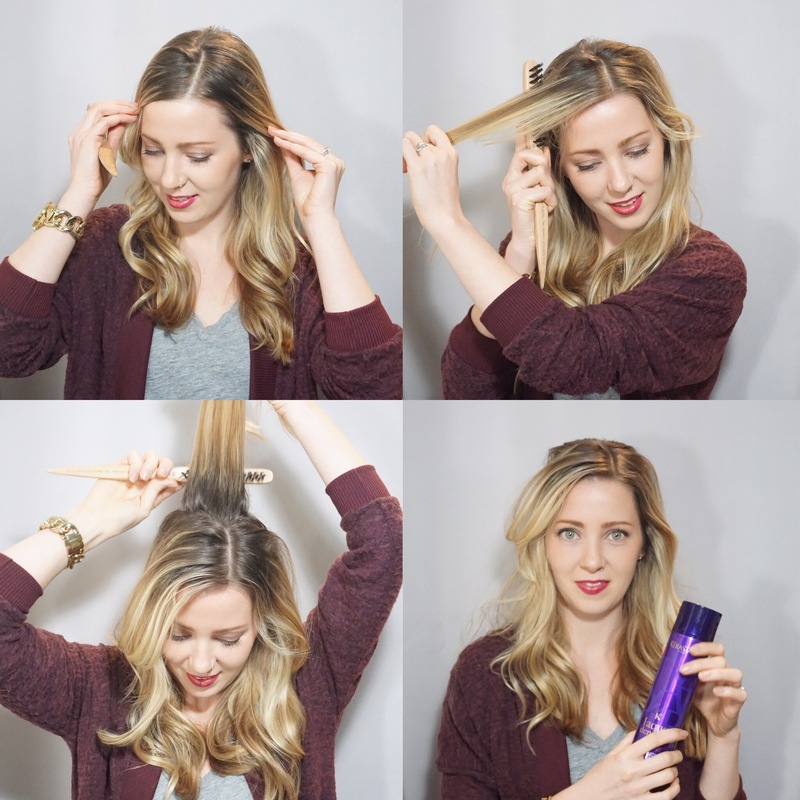 Spritz hairspray all over to finish the look, smoothing the sides and keep the messy texture elsewhere. 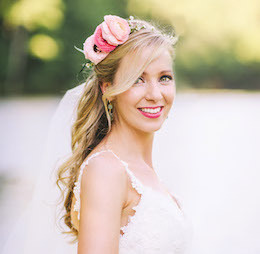 This entry was posted in Hair, Hair Tutorials, Tutorials, Uncategorized and tagged beauty, braided bun, diy hairstyle, how to use a hair donut, kerastase, messy top knot, wedding hair on February 10, 2016 by ellekinney.